Context: there was a person (who turn out to be an Inhuman) who could see the future, Carol and others in the government used that power to arrest the people before they did the bad events. 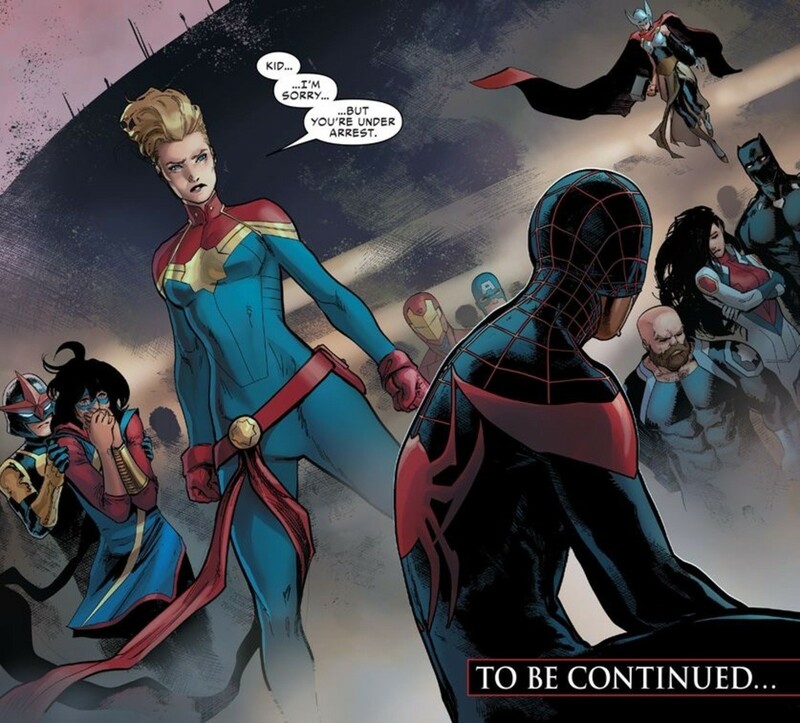 Carol and the others basically say "**** that, we'll still act on these visions" which starts up Civil War II because question of morality, and all the writers had to do was change Carol completely to make it happen. In one of the fights between heroes, a Vision happens and everyone see Spider-man (Miles) standing over what appears to be the corpse of Captain America.